Over 250 transactions in 2015, including multi million dollar sales, and over 1000 transactions career wide. Udi was featured as a neighborhood specialist in The Wall Street Journal article, "The Meatpacking District Puts On a White Collar" in March 2014 and quoted in The New York Times article “The Lease Is Up, and Now, So Is the Rent" in October 2011. His listing in the West Village was featured in the New York Post. Udi starred in a 2013 episode of Selling New York, "Men At Work." B.A. from Hunter College with majors in Media and Psychology. Udi is active on his neighborhood community board. Udi Eliasi is a real estate specialist with an impeccable reputation for having an unparalleled insider's knowledge of the most desirable, high-end real estate destination in Manhattan, the West Village. 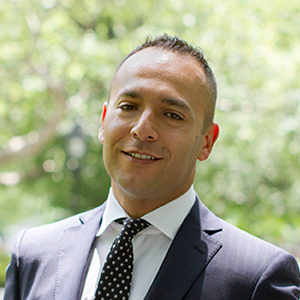 Known in his circles as the ‘Mayor’ of the West Village, Udi works with buyers, sellers and rental clients as well as directly with landlords with his team, The Eliasi Team and Eliasi Marketing, making him a true hybrid agent. As an early adopter of Compass technologically advanced platform, Mr. Eliasi helps to develop a variety of unique marketing strategies specifically tailored to help landlords maximize rental property values while simultaneously minimizing vacancies, placing landlords and renters alike squarely in the center of the city's very competitive and highly distracting marketplace, ensuring all of his brokered transactions are cleanly, quickly and optimally executed for the benefit of all parties concerned. Mr. Eliasi and his superior team of proven co-agents will provide immediate access to day and date specific pricing, sales and market valuations, thus guaranteeing each and every transaction has been comprehensively considered. Mr. Eliasi's deep roots in the city's most sought after neighborhood enables privileged access to the entire spectrum of listing information, from retail marketing sites to rarely attainable off-market listing information, only available to the select and knowledgeable few. Mr. Eliasi, a native of Tel Aviv, Israel, and a sophisticated world traveller, also brings with him a globally astute perspective on the unique and complicated financial arena that is New York City real estate, an exceedingly competitive and cutthroat field, where knowledge of how the game is played will define your life and how you live it. The West Village has always been amenable to family life, and Udi and his family have long enjoyed all the amenities the West Village has to offer, from the very best schools to the many parks and playgrounds running along the river to the newly minted downtown Whitney Museum and the cultural and social excitement of the High Line, where this new trail to life in our city begins. 185 Ave B from Udi Eliasi on Vimeo. The Hub Avenue B is in a sought-after pocket of the East Village. Beautiful Tompkins Square Park is just steps away, as well as great dining and an eclectic mix of shops that give the neighborhood its unique character. This seven-story boutique building offers a complete array of outstanding services and amenities, ensuring a truly luxurious experience.